I’m gonna talk a little bit about our GOD who’s name by the way is JESUS. That’s HIS name. Commandments 1-4 teach how to love God. Commandments 5-10 teach us how to love others. 1-4 are vertical. 5-10 are horizontal. He’s talking about don’t put anything between you and GOD. Don’t Worship anything else but HIM. No people, no job, no money, no sports teams. Even nothing that HE created. Worship the Creator not things HE created. HE did give us lots of things here on earth to enjoy but just be thankful for them. JESUS should be the most important thing in our lives. IS HE? HE will show us mercy if we Love HIM. But its more than Loving HIM, we need to keep HIS Commandments. 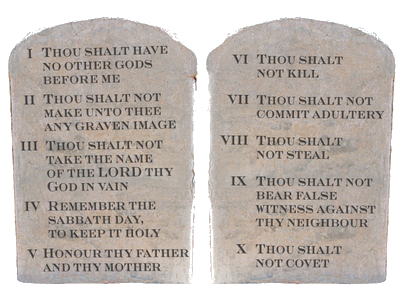 I believe lots of people love JESUS, but are they keeping HIS commandments. Look at the world and how many false idols there are. Things that people Worship and adore. Got on internet, The use of GOD’s name in a degrading or in any way disrespectful manner expresses an attitude of disdaining the relationship we are supposed to have with HIM. Having a relationship with GOD demands that we represent HIM accurately, sincerely and respectfully. I say take an Andy Griffith day. GOD didn’t need to rest but HE shows us and tells us to. We need to get rejuvenated physically, emotionally and spiritually. Take a day to relax. If we’re ever in doubt what GOD wants us to do, read HIS word. Listen to HIS still small voice. Follow HIS commands. HIS Commandments make HIS desires for us plain and easy. HE wants us out there spreading the Gospel to all nations. When you think about this scripture, it tells us how important our relationship with JESUS is.